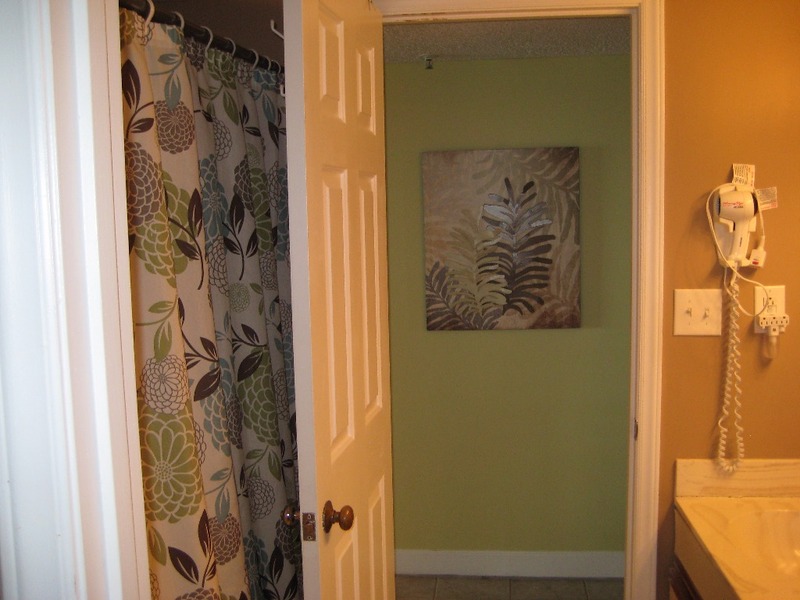 This unit is about 200 square feet larger than most one-bedroom units in Myrtle Beach. And, we feel it has a better floor-plan! Our rental is the closest ocean-view unit to the front of the building...and the highest (11th Floor), for the VERY best view of the ocean, coast and sunset of all the ocean view units! At this height and location, the view is totally unobstructed by the condo next door. Whether viewing the ocean, coastline, or the sunset over the trees. You can see the lights of the Skywheel at night from our spacious 8’ x 14’ balcony! To get a detailed quote, please click "Detailed Quote" on the right side of the page for an instant quote for your dates. Then if you want to book, click "Book It" or contact us. • 47' razor LED wall mounted smart TV- Login to your Netflix, Amazon...on a rainy day! • 36' flat screen wall mounted bedroom. • Brand new stainless steel refrigerator, dishwasher, microwave, & Cuisinart blender. New skillets, baking sheets, glasses, steak knives. • ALL new furniture and wall decor in Family room, dinette, and balcony. • ALL new family room and bedroom draperies, Bedroom blinds. • Entire Condo newly painted in designer coastal colors. The master bedroom includes 2 double beds with foam toppers. All linens & bath towels are furnished. The living area includes a queen sleeper sofa for overflow guests. When it’s time to get ready to go out to dinner or a show, you’ll love having the extra ½ bath! You’ll also appreciate that you don’t enter the condo in the bedroom. Perfect for a nap, early night, or sleeping late. We feel this property is really amazing and gorgeous! We fell in love with the Forest Dunes community when we vacationed here. We bought our condo and continue to provide upgrades and special touches for the enjoyment of our guests. We think you will agree, it's very comfortable and family friendly. A great destination for a honeymoon, anniversary, couple's getaway and family vacation. 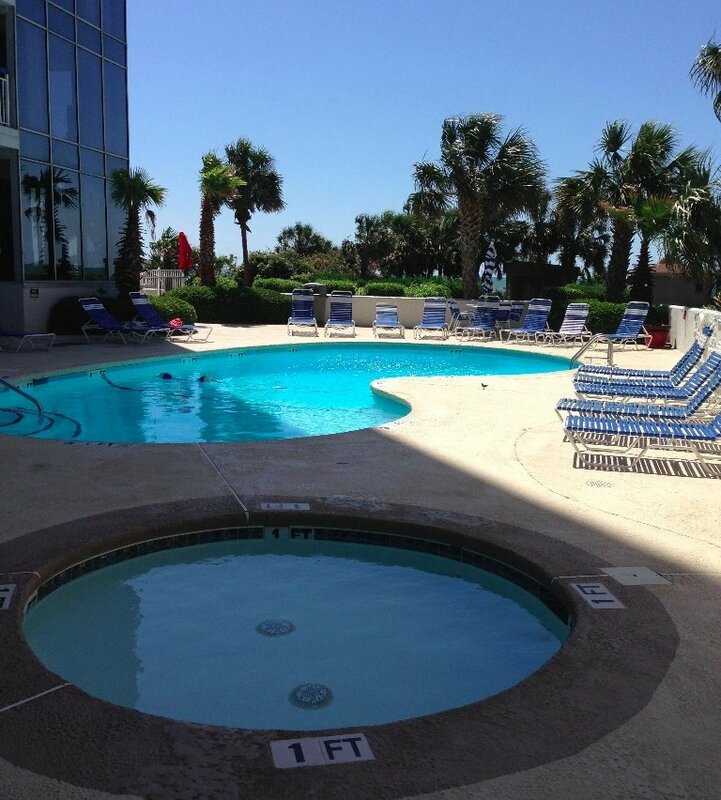 Even in the busiest Summer months, the beach in front of our unit is never too crowded. It is also a favorite nest for snowbirds. Nice and quite, roomy, and lots of other snow birds. Forest Dunes is in an exclusive area of Myrtle Beach called the Cabanas Section, because of the adorable little cabanas and gazebos are all along the oceanfront. There is an ocean front sidewalk in the cabanas section along Ocean Blvd., where you can walk, jog, or try the challenging exercise stations along the walkway, while enjoying the view of the ocean and the sea oats. There is a cute oceanfront children's park, too. This section of town is also often referred to as the Golden Mile, because of the many stately homes built in this residential area. We are in the North part of Myrtle Beach. 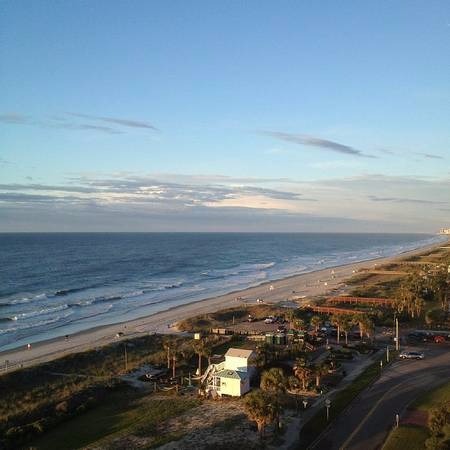 Located equal distances to Broadway at the Beach or Barefoot Landing. 3 miles to either. There are lots of restaurants, and outlet mall, groceries, miniature golf, Broadway type shows…and the list goes on…within that area! Myrtle Beach is home to some of the most thrilling entertainment venues and exciting attractions on the East Coast, and Forest Dunes Resort is in close proximity to them all. The entire Forest Dunes complex is completely smoke-free. There is no smoking allowed in the rooms, balconies, hallways, pool area, etc. The Home Owners Association DOES NOT ALLOW: SMOKING, PETS, or MOTORCYCLES. Minimum age requirement to lease: 25 years old.